"Oh Yeah! This is Happening!" "Ready to roll champ? Lets go!" 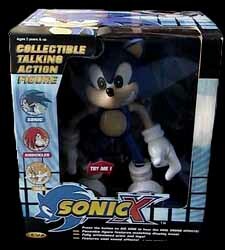 This action figure is made from good, strong plastic and is sure to withstand any rough play from younger children. 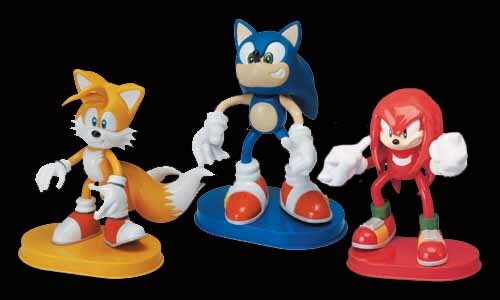 But it is as an ornament, placed on it's base, that this figure is really best suited - and should take pride of place on any Sonic fan's dressing table.